In the cryptocurrency world, a wallet is a digital medium that is used to store, send and receive money which in this case is in form of cryptocurrencies/Ethereum. Unlike the real world wallets, a crypto wallet does not really store money but will instead save your private and public keys that you will use to do transactions. Anyone can use your public key to send Ethereum to you. While the private key is a secret key that should never be shared that your wallet uses to send Ethereum out of your wallet. Both your private and public keys are stored in the blockchain but it is your responsibility to make sure that your private key is as secure as possible so that no one but you can use it to send your Ethereum to another address. In the world of crypto wallets, there is either hot storage or cold storage. Hot storage is whereby your wallet has access to the internet. On the other hand cold storage is whereby your wallet is completely offline, like a paper wallet. Most people believe that cold storage is the safest since it is safe from hackers and phishing. It is however inconvenient in the sense that it is not ideal if you need quick or daily transactions. Paper wallets are a form of offline cold storage for keeping your cryptocurrency secure. Normally you will need to print both your private and a public key on a piece of paper then it’s upon you to make sure you store it in a safe place. The keys are typically printed in the form of QR codes so you can easily scan the code to use your wallet’s information (rather than typing in the key data by hand). There have been many arguments on whether it is the safest way to store crypto coins, with some arguing it’s safe and some arguing it’s not safe. It may be safe in the sense that it’s the responsibility of the owner to make sure that it is safe and the private key is not leaked out to someone else. It saves you the worry of hardware malfunction or hackers accessing your keys. It may be unsafe in the sense that if you lose your private keys or make them known to someone else you are at a risk of losing all your money. If you are interested in using Ethereum, buying, mining or trading, it is mandatory that you have an Ether wallet. An Ethereum paper wallet is one of the options. 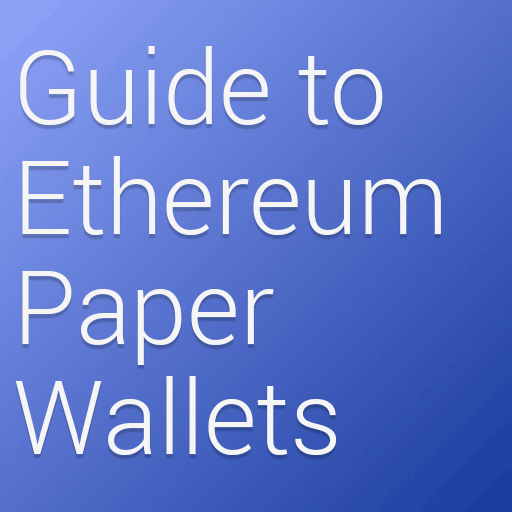 It is just like any other paper wallet only that in this case it is used to store Ether. Paper wallets were popular with Bitcoin because it was the first and most popular cryptocurrency plus generating a Bitcoin paper wallet was the easiest way to make a wallet. Luckily, it is also easy to generate an Ethereum paper wallet nowadays. There are plenty of sites that will generate Ethereum wallets but be 100% positive to use a website that is trusted and secure. MyEtherWallet has made it very easy to generate an Ethereum paper wallet. 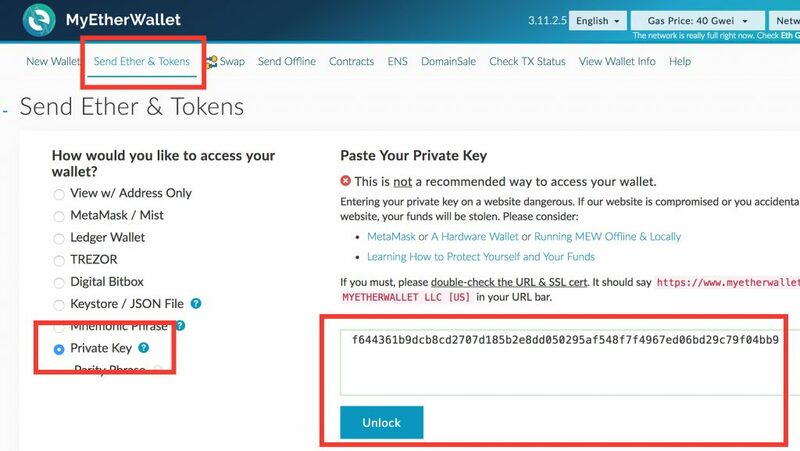 When starting the process on MyEtherWallet you’ll be asked to create a password, this is used to encrypt your keystore file (given to you on the next page). We should note that the password used encrypts your keystore file, think of this as a backup to your wallet. You’ll need your password and keystore file to unlock with this method. After downloading your keystore file you’ll be given your private key which can easily be printed, the private key is not encrypted with the password noted in the previous step and gives you complete access to your wallet. Do NOT share your private key with anyone. Once the wallet is created you can access your wallet using the “Send Ether & Tokens” tab on MyEtherWallet. Just enter the private key from your wallet, if you’ve printed the wallet you can scan the QR code to use the private key. It is important to note that when unlocked your private key will reveal your public key. Advanced Users: Note to advanced users, if you want ultimate security you can actually download the MyEtherWallet source code on their Github which will allow you to generate wallets and access wallets locally on your machine. A paper wallet will save you the stress of cyber security, hackers and malwares accessing your private keys. You are solely responsible for making sure that your wallet is safe. If you make multiple secure storages for your papers and keep the information confidential then you are sure your keys are safe. With a paper wallet you can opt to store the information in a safe box with your other valuables and lock them and you are assured of their safety. It is also convenient if you don’t access your wallet often. As much as many would turn to paper wallets as a form of cold storage, it has its own set of disadvantages main concern being paper wallet security. Since paper wallets have the private and public keys on a piece of paper, if anything happens to the paper it means one stands at a risk of losing their keys and hence losing their money. It is therefore very mandatory that if you take the paper wallet route you make sure that you have as many backups as possible. Even though multiple secure locations will help, you should keep in mind that the more locations you store your keys, the more compromise you make which may also pose as a risk. Easy to steal: Paper wallets are easier to steal as compared to online wallets. If you have leaked the information to anyone and they find the location of the papers that have the private and public keys, they can easily take a photograph and that’s all they need to steal your money. When it comes to paper wallets, the keys should be printed on a high quality laser printer so that there is no risk of the ink spreading out if the paper gets wet. Therefore not any kind of printer can be used. For a paper wallet, if you forgot the location of the paper containing the keys you are at a risk of losing your money. With time, a paper wears and tears, it is therefore important that a high quality piece of paper is used. It might be useful to create newer backups after a certain period of time. Since every transaction and wallet balance is on the blockchain everything on your paper wallet is publically visible. Sites like Etherscan let you view wallets and transactions on the Ethereum blockchain using just the public key. If you’re using a paper wallet we recommend signing up on Etherscan which will allow you to receive email notifications if funds go in or out of your wallet. Plus it’s great for just tracking your balance without unlocking the wallet. Additionally paper wallets are a perfect way to gift Ethereum to friends and family. Just print out a paper wallet and add it to a card with some funds in the wallet. Then they can simply open the wallet in MyEtherWallet and send it to any wallet they’d like. There are also services such as ether.cards which offer physical gift cards that contain an Ethereum address. Ether.cards uses a scratch off with a Mnemonic Phrase underneath which can be claimed on MyEtherWallet or even in Jaxx.